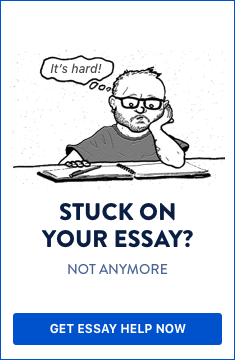 Do you find essay writing to be a tedious task? It is no doubt that essay writing may not be for the faint of heart but one type of essay may be a fun assignment. When your lecturer asks you to write an expository essay, they are asking you to thoroughly examine a thought or idea and make an argument for or against that thought or idea. Don’t you think it’s fun to take a topic and express your thoughts, ideas and opinions about it? An expository essay is a type of essay in which a student must examine an idea by evaluating the available evidence and elaborating on the idea, making sure to make an argument for said idea. To do this, they can express their essay in the form of a compare and contrast, cause and effect analysis or definition type of essay. Expository essay outline is similar to all types of essays in that it requires an introduction, body and conclusion. Introduction. To start your expository essay, open with a thought-provoking statement, fact, statistic or anecdote that will grab the reader’s attention. Make sure it is relevant to your topic and that you explain the context of your paper so that your reader will have an idea of what to expect. In this section, you will also state your thesis statement to let your reader know the line of argument you will pursue. Body. Each paragraph in your body will have a topic sentence to explain what will be discussed in that paragraph. Here, you will put forward all your points and explain them using relevant and necessary supporting evidence. You will want to include some analysis of the argument to share with your reader why the evidence is important and how it supports your thesis. You should end each paragraph with a transitional sentence to the next paragraph. Conclusion. Here you are required to restate your thesis, give the main points of your argument and state how they support your argument. Expository essay topics can be wide and varied, spanning the most mundane and everyday topics to exciting and controversial topics such as politics and religion. Regardless of the subject being taught, from a science subject such as physics to the arts, you can be assigned a topic for expository essay in which to write a thrilling masterpiece. However, even with a basic idea of the concept of expository essays, it may still be difficult to conceptualize expository writing topics that are worthy of a great written piece. We have listed below some expository essay ideas grouped into popular categories. Check them out and see which ones you would like to write your next expository essay on! This is the easiest type of an expository essay topic to come up with. Writing from personal experience gives students the opportunity to express their thoughts and feelings about real-life issues and situations. It is also good because the topics are usually ones that they have adequate knowledge about and can speak in volumes on. Here are a few expository writing topics that you can consider for your next essay. Describe your college life and how it relates to high school. Explain how you would counsel a friend who is considering suicide. Describe what you would do to start an anti-bullying campaign at your school. Explain your thoughts on how to tackle teen pregnancy. Describe the process you would go through to plan a campaign to win your school’s student council presidency. Explain why it is important to support your school sports teams. Explain your thoughts on discipline and the best ways in which parents can discipline their children. Bob Markey said “One good thing about music, when it hits you, you feel no pain.” What are your thoughts on this? Explain the uses of marijuana and how its legalization can benefit us. The makeup industry preys on our weaknesses and low self-esteem. Give your thoughts about this. This is a frequent category for expository essay topics as it is common for teachers of English Literature to ask their students to write essays on great literary works. These essays are a joy to write and read as the viewpoints of students vary so much, whether it is the characters, the scenery, concept, ideas, etc. of the piece. In order to come up with good expository essay topics, you have to analyze various aspects of the piece. These are examples of topic ideas that would make a great expository essay. Explain Shakespeare’s use of language in Romeo and Juliet. Give examples of dramatic irony in two Shakespeare plays. Figurative language is often used in literature; describe two examples from your favorite author. Explain the reasons for conflict between Hamlet and Claudius. Give examples of lessons learned from your favorite Shakespeare play. Give your thoughts of the role of women in literature. Explain your thoughts on the character development in Ophelia. What are your thoughts on the impact of the story about Romeo and Juliet? What poem had a profound effect on you and why? Which author had a profound impact on you and why? This is another very common subject that utilizes the use of expository essays. What makes this category fun is the use of historical data on various countries and populations and their development over time. These are some expository essay samples that will peak your interest and encourage you to write a winning essay. Describe how the historical events contributed to the forming of the Church of England. Explain the cause for the breaking up of the Soviet Union. Describe the reasons for the bombing of Pearl Harbour and its impact on the USA. Explain how Genghis Khan impacted the world then and now. Describe the time in which Florence Nightingale lived and how it contributed to the forming of the nursing profession. Explain the impact King Henry VIII had on England and how it has impacted the country now. Explain how slavery impacted various countries in the Caribbean. Describe how the slave rebellions led to forming of a free Jamaica. Describe the events that led to the end of the South African Apartheid. Explain the role of pirates and how they contributed to society in their time. When you want to get the attention of your audience, go with a social issue topic. These are usually current affairs that may be controversial and already a topic of discussion in many circles. Expository essay ideas on social issues are always evolving because society changes and evolves and so do the issues and problems that arise due to their evolution. Try out one of these expository essay prompts. Explain, in your opinion, the best ways to rehabilitate juvenile lawbreakers. Describe the factors that a country should consider when deciding to take in illegal aliens. Explain how being raised in a single-parent household can result in a child becoming a well-adjusted, healthy and successful adult. Explain ways that we can eradicate discrimination of all types from our society. Describe how discrimination can have positive outcomes. Describe how social media is contributing to a narcissistic society. Explain how video games have changed over the years and the impact they have on children now versus two decades ago. If you could choose a language other than English to be a second universal language, what would it be and why? Describe a children’s book that could be a great lesson to society about how to live well. Explain how modern advertising is a danger to our society. Every day there are new announcements, changes and developments in science and technology. As a result, there are a plethora of ideas for expository essay prompts. These essay topic ideas will stimulate the scientist in you. Explain how a 3D bioprinter can change modern medicine. Describe some vaccines that have been linked to having adverse side effects. Give your thoughts on whether the good (benefits of the vaccine) outweighs the bad (adverse side effects). Describe Google Glass and how you think it will change our way of life. Explain the impact of climate change and what we should expect to see in the coming years. Describe how living in a technologically advanced society can have a negative impact on humanity. Explain your opinion on stem cell research; is it a good or bad thing? What do you think of our possibilities of living on another planet? Have our technological advancements made us better communicators? What are your thoughts on the use of probiotic supplements? Explain what is the most significant scientific discovery this century and why. There is no shortage of ways to write expository essays. From a how-to or process type of essays to classification, cause and effect, and compare and contrast essays, there are so many ways to articulate your thoughts and ideas. These types of essays are usually written in a clear, concise and unbiased manner, making sure to logically and factually explain the relevant thoughts and ideas to the reader. Expository essays are written to evaluate a given topic, providing supporting evidence and cementing the evidence with valid arguments, all without being research-based or persuasive. Because it is possible for you to be asked to write this type of essay in an exam or during class, it is best to write about a topic you are familiar with and have extensive knowledge about but also does not require a long period of time to complete. Expository essays are written to evaluate a given topic, providing supporting evidence and cementing the evidence with valid arguments, all without being research-based or persuasive. Expository essay topics provide students with an opportunity to express themselves and their knowledge. As these topics for expository essays are not research-based, they are unique in that they challenge students to be well-read and logical in their thinking and writing. Thus, enhancing their overall literary and academic ability. As the categories for expository essays are wide and varied, the possibilities are endless when it comes to developing topics for these types of essay. Be sure to have fun thinking of great topics and ways to showcase your literary prowess with this and other types of essays.